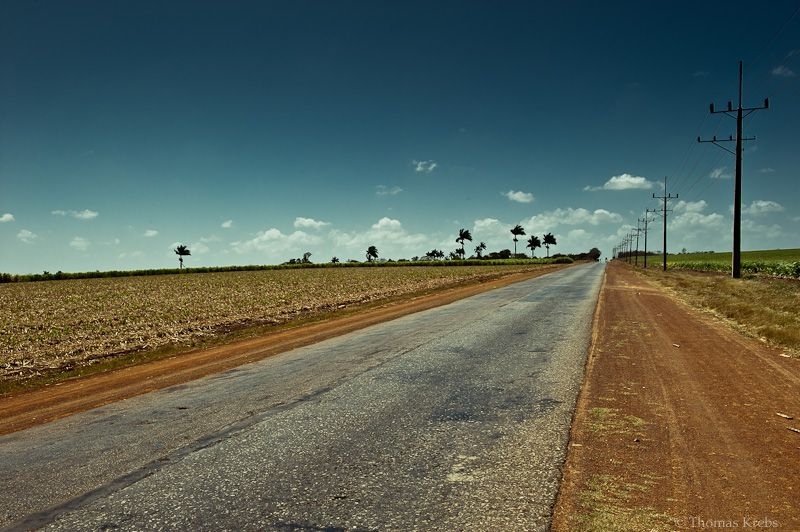 Road through the vast landscape of Cuba. Wonderful lines in this photo Thomas!! Love the feel of solitude and scale. On the road to nowhere. Great lines and colors. excellent view and loved the emptiness! Great perspective, the view draws the eye nicely into this image, fascinating landscape. Great composition. I like your blog. wunderbare Frabkombination .. und die diagonalen Linien finde ich besonders interessant. Excellent composition, and beautiful colours as well!